Peel and finely dice the mango. Peel and finely dice the prawns. Finely dice the Petit Camembert ILE DE FRANCE®. Petit Camembert ILE DE FRANCE®, mango and coconut milk. Add a few drops of lime juice. Sprinkle with curry and coriander. 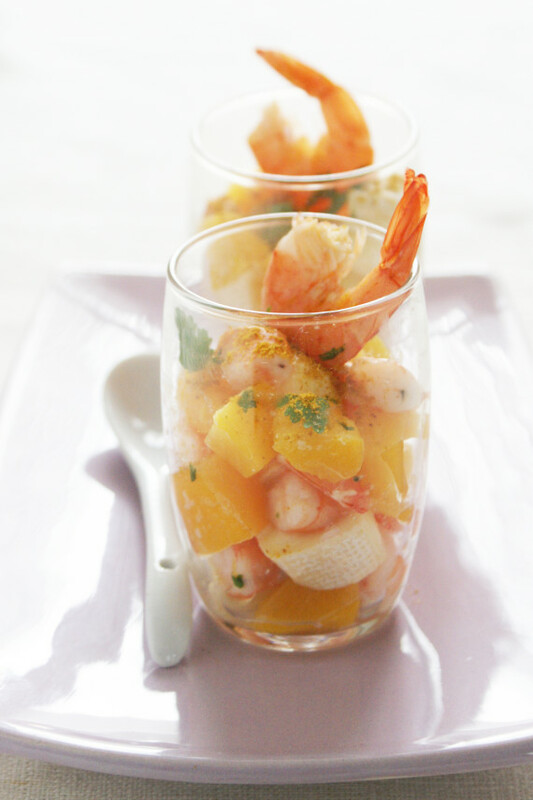 Serve in small glass dishes.